We decided to suspend support for the UWP Windows Store version of GWENT. The game has been removed from the Windows Store, and starting today, playing GWENT’s UWP version is no longer possible. Your account can still be used to play the Xbox One version of the game thanks to the Xbox Play Anywhere feature. On PC, all UWP players can continue their GWENT experience by means of account transfer to GOG.COM. 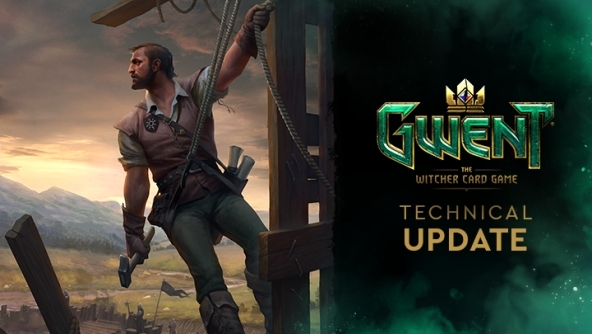 This means all GWENT in-game progress and unlocked content (ore, meteorite powder, vanity items, unopened card kegs and card scraps equivalent of all the cards in your collection) are transferable between the UWP version of the game and the GOG.COM. Details regarding the account transfer solution, as well as means of requesting the account transfer itself are available HERE. Hey guys, why didn't you communicate earlier about the transfer? I made an account on GOG and put a few hours into HC to test it out, I've got like 1000 hours on xbox version that I'm hoping to transfer. Can you please wipe my GOG account and allow me to transfer over my xbox account? Please don't let me down guys. I'm a big fan and this xfer is what I've wanted for a long time. Please communicate with me quickly. I want to play the game! Now what? I cant transfer my Xbox account? I have played on Windows 10 but installerad.. still got progress saved on Xbox one. Is there not any way to fix this? Im desperate! Even though I almost always played on Windows through MS store I get this error message: "Your Microsoft account does not contain progress from the UWP Windows Store version of GWENT: The Witcher Card Game." Is it suspended for weeks/months/year (like initial release) or Gwent is dead forever? MS Store version of Gwent is most likely canceled. Its a shame as you cant switch between Xbox and PC now, but posibility to choose if you want to continue on Xbox or PC is fair (if they fix the bug above). EDIT: I just noticed, that you cant transfer for GOG, if you ever run Gwent on it. This is WRONG! Just allow to wipe progress on that GOG and overwrite it with UWP version. People have other games on GOG and there is no point to forcing them to make multiple accounts. Only the UWP version will not be updated anymore, you can still play gwent on gog, xbox and ps4. Any reason behind the decision to cancel the UWP version? An explanation as well as the reason behind the last minute announcement would be much appreciated. Your Microsoft account does not contain progress from the UWP Windows Store version of GWENT: The Witcher Card Game. , thousand of hours played since start of closed beta... Did sell my xbox one a while ago and was only playing with the UWP version. Im so sad and quite mad at the time, Ive spended a lot of money on my account. For all those experiencing issues, please, contact Support. I was previously able to play on my PC via the Xbox App/Microsoft store but the old version said it was no longer supported and offered no option to update. I uninstalled, and now the Microsoft store gives no option to install on PC. What should I do? I'm annoyed that this was not announced prior to the December 4 Gwent update going live. I do appreciate that there is a migration in place for UWP/Xbox App to GOG.com. I requested a transfer months ago and was told it was impossible, so I feel a bit like I was lied to. "you can still play GWENT on Xbox One using the same account you used to play the Windows Store UWP version of the game." "* Your GOG.COM account must not contain any progress in GWENT: The Witcher Card Game in order to be eligible for account transfer." I had previously played the previous version of Gwent on my GOG.com account. Will this stipulation bar me from transferring my UWP account contents to my GOG.com account on the new version of Gwent? Post moved to the correct thread. Here you'll find the information you've asked about. Thanks for the prompt reply! I think I edited my original post a minute before or after you moved it See the update below. You guys didn't tell us about the transfer. Some people, me included, created an account a few weeks ago to try Homecoming. You led us to do that because you didn't launch them at the same time. Could you not have informed us about the transfer and its conditions then? Why aren't you responding to us. Support hasn't either. "Your Microsoft account does not contain progress from the UWP Windows Store version of GWENT: The Witcher Card Game." Could this be because gwent has been removed from Windows store? Then all progress also got removed? Having the same issue as others here. No reply from support yet. Anyone actually managed to resolve this or even get a reply? Sent a second email about the transfer but as far as I know, this is a universal issue (though I imagine it's small numbers and if people weren't having the issue they wouldn't comment) and nobody has received a reply (I appreciate perhaps something has gone wrong when deleting from the store or how it recognised saves, but some update about looking into it would be well received).